Although not as dominant as Facebook or Twitter, the business networking website LinkedIn is increasingly popular, especially with the business-to-business (B2B) and business-to-consumer (B2C) crowd. As of 2018, it has over 500 million users. Therefore, internet marketers and others who have an e-commerce component to their business have reason to optimize its use. As a business-oriented website, it should be second nature to use timing analytics to boost traffic, raise brand awareness, generate leads and increase sales on the LinkedIn platform. Functionally, LinkedIn has similar elements to both Twitter and Facebook, which gives you the flexibility to tailor messages for specific audiences, share status updates, and message people directly. Thanks to the accurate timing information, your LinkedIn performance can improve in no time. 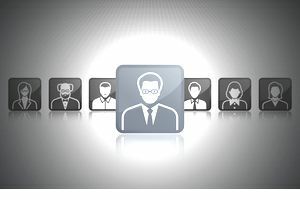 While paid advertising opportunities on LinkedIn aren't as ubiquitous as other social media platforms; the ability to connect 1-1 with people and reach business professionals directly makes LinkedIn a great site to establish relationships which can turn into business opportunities (which is why this network lends itself particularly well to the B2B market). The primary difference between LinkedIn and other social media platforms from a business stand-point is that LinkedIn is less of a mass marketing/advertising medium and more of a networking platform. With all of that said there are two primary ways you can use the LinkedIn Platform. First, you can use LinkedIn in more of a passive push marketing capacity where you simply add status updates, announce new blog posts, and publish your content to reach people with valuable information and potentially drive them back to your website. Second, you can use LinkedIn less passively and more personally where you make connection requests and message people directly to build a real one-on-one relationship and explore potential business opportunities. The key here is to make these legitimate one-to-one connections and not blast everyone with the same boiler-plate template. Both of these are great ways to leverage the LinkedIn platform. Let's explore the best time to engage on LinkedIn to effectively reach more people. Business networking differs from more general social networking, thus it shouldn't come as a surprise that the best time to post in LinkedIn is Tuesday through Thursday. Many people prefer using Mondays to set up their week offline and/or recover from work-oriented or business travel from the previous weekend. Generally most people are very busy on a Monday so this may not be an ideal time to try to establish a new connection, get a response, or have someone see a piece of content you may have posted. Conversely, entrepreneurs may cut back on social media time on Fridays to prepare for either family activities or the next business trip (e.g. sales mission, seminar, conference, exhibits, etc. ), making this also a less than ideal time to make an initial contact with someone. Couple that with a weekend and the Monday frenzy and you could get completely lost in the shuffle. Most clicks and shares: Tuesdays, 11 AM-12 PM. The worst time for LinkedIn: Sleeping hours (10 PM-6 AM) immediately before Monday and after Friday night. Best Times to post: 7-8 AM; 5-6 PM. LinkedIn members are part of the overall trend towards mobile device use. According to Foundation there are over 63 million unique mobile user on LinkedIn every single month. Internet marketers rank LinkedIn as the best business to business (B2B) lead generation social media source. Not surprising, since you are mostly dealing with a B2B audience that is accessible during business hours and midweek. To have your LinkedIn content seen, read, shared and acted upon, post around lunchtime or immediately before 5 PM. No surprise there, since busy professionals will often reserve their social media interaction for lunchtime and the end of the workday. This is especially true in midweek, when employees' thoughts are no longer on the past weekend and managers are pushing ahead with the current agenda. By applying to LinkedIn's publishing platform, you can gain better access to real decision-makers. Post extended blogs that better highlight your expertise and increase the potential of your material going viral. They will be part of your followers' news feed, and links can be sent out via e-mail with other related articles. By meeting specific criteria, your posts can also be displayed on relevant high-traffic LinkedIn channels. While these are all useful guidelines to follow you'll want to dig deeper into your on analytics to see exactly when your specific audience is interacting, engaging, and responding to your posts, updates, and one-on-one emails. You can use LinkedIn's and third party analytic tools to monitor the best days and times to post for your specific audience. The only exception to these general guidelines would be if you're reaching a more consumer based audience who may be consuming more content on the weekends or after hours in their spare time; such as spending time in a hobby related LinkedIn group. Also with the amount of people increasingly using LinkedIn on mobile the overall trend will likely be more people using LinkedIn on nights and weekends. Thanks to LinkedIn, Internet marketers can connect with each other as well as their target audience via an array of accessible, cutting edge material. At the same time, they should be cognizant of knowing when – not just how and what – to post. It makes sense for you or your social media marketing manager to time your LinkedIn posts to get your best content in front of the right people at the right time. It can mean the difference between great success and repetitive failure. Given the nature of Internet commerce and marketing, social media timing merits a serious look. Review LinkedIn basics and your posting schedule to better reach and serve your target audience. If you're interested in maximizing your social media marketing, you may also want to see the best times to post to Facebook and the best times to post on Twitter for maximum exposure, reach, and sales.